Egg cleansing is an ancient practice, utilized in Mesoamerica, Europe and Africa, among other places. 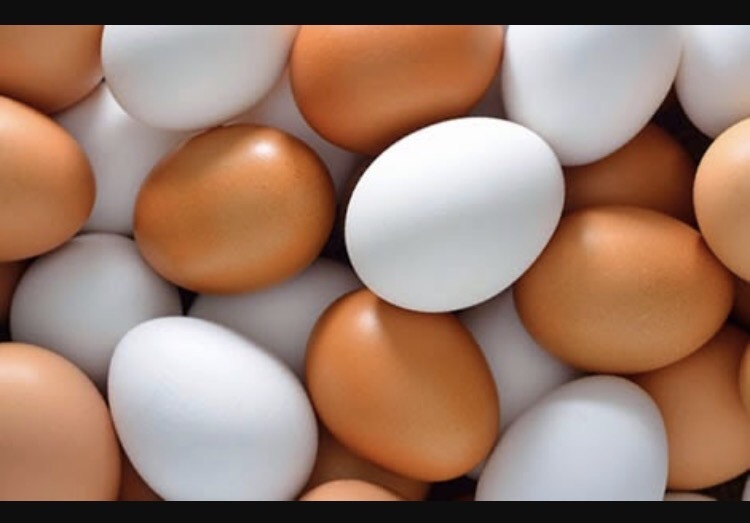 The symbol of the egg is a universal symbol of Life. The yolk inside cozy and protected by a seemingly fragile shell. The ancients found this symbolism and began using it as a tool for their spiritual practices. The thought behind egg cleansing is that it acts like a sponge, absorbing and neutralizing negative energy, diseases and the evil eye. Many today do not have the information readily available to instruct them on how the cleansing is done and the egg read effectively. Which is the reason behind this article. For an Appalachian egg cleansing, you will need some form of “holy water”, either from a church, river water or simply water over which you have prayed Psalms 23 seven times each day for seven days. You will also need a clear glass, a candle for the spirits, and a religious symbol (cross, rosary, bible etc.) I would suggest getting eggs from an organic grocery store, as traditionally in the mountains these eggs were readily available from the chicken coop in the yard. Today there’s no telling what kinds of things are in the egg which may affect the reading phase of this process. Wash the egg in the water and let it air dry completely. Make sure the egg is room temperature. Light the candle while praying Psalms 86. Hold the dry egg in both hands, while praying to the Creator and blessing the egg to remove illnesses or curse from yourself. Begin by holding the egg in your dominant hand held about 6 inches away from the person’s body. If your doing a self-cleansing do this also. The only time the egg is rubbed on the body is when pain or illness is the issue and only in the respective area where the issue is arising. Go in strokes from head to toe, going downward never back and forth. Go over the body as many times as you think necessary depending on the issue warranting the cleansing, although its traditionally done three times in intervals that day, every thirty minutes as the clock of the hand goes down. Make sure to get every space of the body, front, back, and sides. If your doing this on yourself try to get as much covered as you physically can. Once you’ve covered everywhere you can, fill the glass with water and mix some of the left over “holy” water into the glass. Crack open the egg and drop it into the glass. Make a cross over the glass in the name of the Father, Son and Holy Spirit with the candle. Let it sit there for the next thirty minutes to an hour as the yolk forms. After time passes, come back to see the formation of the yolk. This process is the reading of the egg. This will basically tell you what was collected, the cause of the issue, how effective the cleansing was, and what steps should be taken next. Below I include a set of meanings for different formations with example photos found on Google. 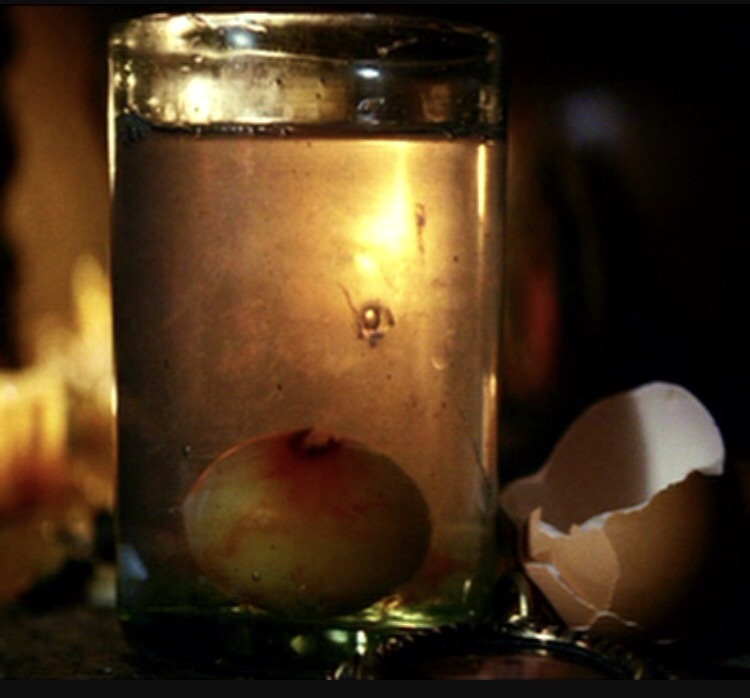 Here the egg shows blood, and looks like an eye. Evil has been operated to place the Evil Eye on the client, either unconsciously or intentionally. Which means a few more rounds of cleansing are needed. If the egg smells bad or has a strong odor, this is a sign of evil being done or severe illness. This is also given should the egg show blood. Small spots of blood in the water show signs of bad luck and damage done by Conjure. Especially if the water is also cloudy or murky. 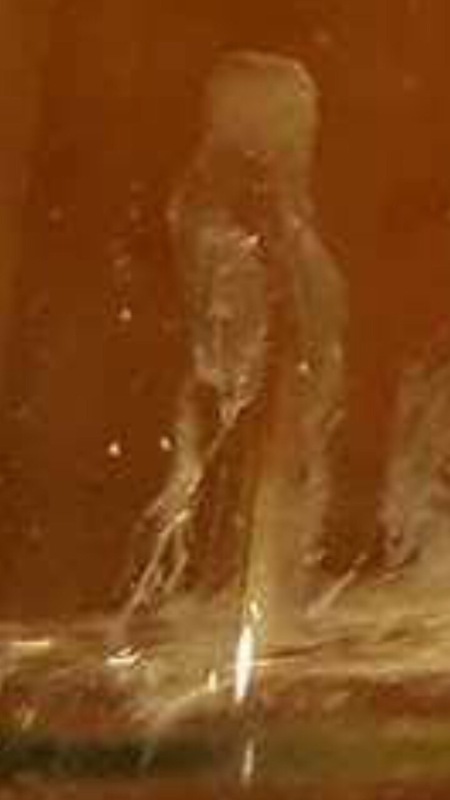 If the water becomes cloudy without scent or blood, there’s been a loss of vital energy via a hole in the aura which needs to be healed. In many folk traditions this is a sign of nightmares, ptsd, susto (the fright), etc. If the egg yolk makes the shape of a face, this is a sign of a enemy. A slender face represents a man, a round face means a woman. Webs and patterns made by the egg. If the yolk looks like an eye of sorts, this shows that the evil eye is present and will most likely warrant additional sessions to be removed, paired with other cleansings. 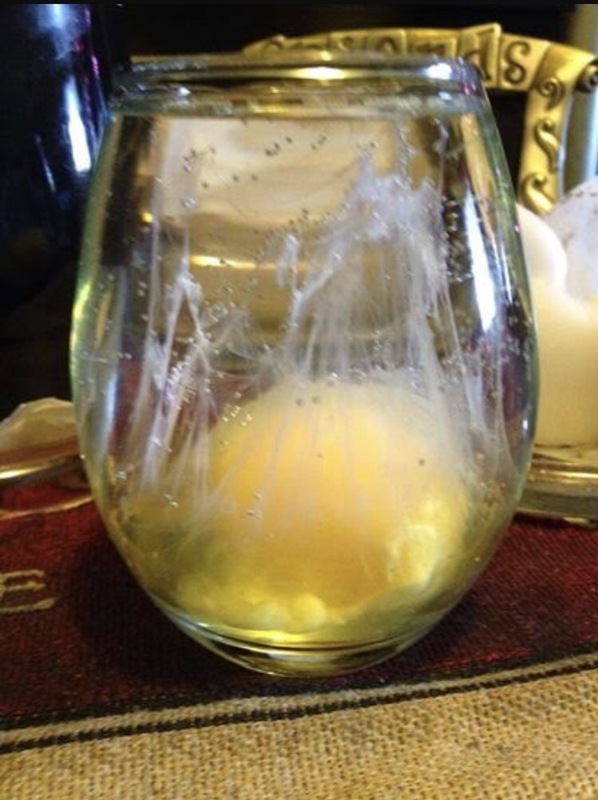 Small bubbles in the water or egg show that negativity has been removed. If the water is clear without any abnormal shapes, scents, etc. then nothing unnatural has occurred and no more cleansings are needed. Patterns of web formations show that something is catching you up, stopping you, or there’s a blockage. Additional sessions are also warranted here to further remove any existing problems. If the patterns make a pyramid, this indicates that the cleansing went well but there seems to be a little bit left. Do another cleansing. With egg cleansings, it is expected for the whole egg to sink to the bottom. This shows that all negativity was removed. If a part or the whole thing floats then another session is needed. If only part of the egg floats in the glass this shows that there is a small problem or that it is still developing and can immediately be fixed. Another style to remove negativity is to place the egg in the glass and place it under your bed. Leave it for three days and change it as often as you’d like or until it has a “clean read”. Once done with the egg, discard it at the crossroads. If you must flush it down the toilet, do a smudging or washing to clear away any residual energy left by the egg. So now you know how them old folk did more than cooking when they went out to gather the hens eggs. This is great blessing of healing.process.i have felt great experience.n.trimendeously positive energy. Hello, can posts like these be delivered to my email? Please add a subscription option so your posts can be delivered to my e-mail!! Written by a friend of mine – superb information!